Before the primaries had even begun for the 2016 presidential election, an ultra-secret organization met in Telfs-Buchen, Austria. There, amongst other pressing matters of business, they decided who should be the next American president. Looking at it in hindsight, it’s clear that their vote was for Hillary Clinton. The fails of the group may not be over, but these are people with money and the influence that money can buy. We’re on the edge of the financial crisis and they will work to perpetuate it. Because when everyone else suffers, they become richer. This group, which is known as the Bilderberg Group, is the leading force behind the movement for a one-world government. Founded in 1954, the group consists of a small core, with a larger number of people, liberals all, who are invitees to their annual conferences. The Bilderberg Group is made up of some of the world’s biggest movers and shakers. While the core group apparently isn’t made of politicians, they have many of the world’s top political figures at their beck and call. These people prefer to be the kingmakers, allowing them to concentrate on making money and consolidating their power, while using those politicians to that end. To be favored by this secret society seems to be a ticket into high government office, as they are able to provide the one thing that politicians need above all, campaign funds; lots of campaign funds. 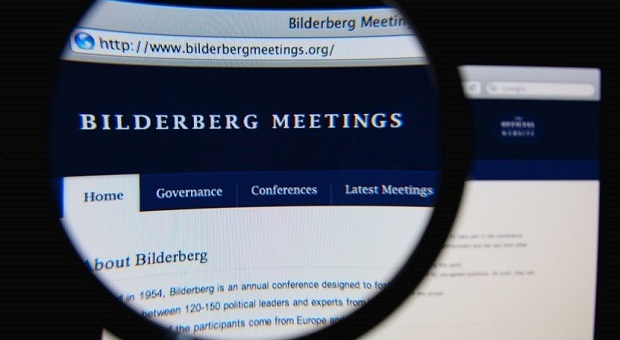 Interestingly enough, Donald Trump doesn’t seem to have any association with Bilderberg, or with the Trilateral Commission, although it is reported that several of his cabinet members have some connection. In fact, for the 2017 convention, the top item on their agenda is a “progress report” on the Trump Administration, which explains why these cabinet officials have been summoned. But this doesn’t mean that Trump is reporting to them, or even that his cabinet officials are. Nor does it mean that the secretive group has any real pull on the president. The key fact we must keep in mind here is that Donald Trump has been strongly pro-America since he started running for office, which goes directly against the Bilderberg’s stated purpose of globalization. In other words, this “progress report” could just as likely be planned as a time to discuss and analyze how much damage President Trump has done to their agenda and what should be done about it. The Bilderbergs took a public stand against him in the 2016 elections and there is no reason why they would have changed their opinion. He is clearly against their agenda of a one-world government and they know it. Not only that, but he has stirred a popular wave of nationalism not only here in the United States, but in parts of Europe as well. If anything, the Bilderberg Group has more to fear from Donald Trump, than he has from them. The Bilderbergs have taken a major blow in the election of Donald Trump to the presidency, rather than their candidate, Hillary. At the same time, both Hillary and her husband have lost a lot of currency with the group, even though both of them are members. They took another major blow when the British people voted for Brexit, a move that is still ongoing and will be for some years. But the blows to the group may not be over with that. It appears that a combination of Trumpism and Brexit are motivating some other European countries to vote for a referendum on their membership in the globalists’ pet project, the European Union. Should that happen and the EU fall apart, it will set their plans back for years. The EU was the globalist model for the next stage of world takeover. Pulling the European nations together under one central government gave them the chance of developing the system for implementing it elsewhere. Their next target was the North American continent, where they expected to create another union. Trump has not only ended that dream, but appears to be on the verge of pushing them back a step in demanding a renegotiation of NAFTA. Some have tried to say that the Bilderberg Group could fire Trump, if he doesn’t receive a high enough “grade” in their review. But they have no power to do that. They didn’t vote him into office and they can’t remove him. But these are people with money and the influence that money can buy. So they will probably throw their considerable resources behind doing anything they can to unseat Trump in the 2020 elections. In the meantime, they will use their influence to work against his agenda, especially where it crosses swords with theirs. The United States of American stands in their way of accomplishing both of these goals. Our military and political influence has operated as the world’s police since the end of World War II. About the same time, the American Dollar became the world’s reserve currency. So as a nation, we alone block two of their goals. That means they need to defeat us in these two areas, in order to accomplish what they wish. 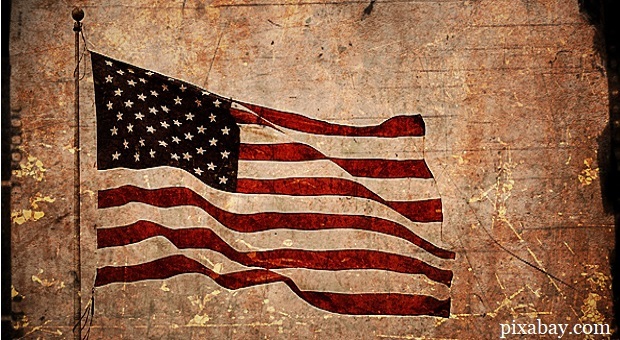 A military conquest of the United States is impossible, unless it were to happen from the inside. Had Barack Obama been able to fill the office of the presidency longer, that might have happened. His unilateral destruction of much of the military’s highest level of leadership and use of the armed forces as a social experiment has done much to destroy our military’s efficiency. But even in their reduced state, our military is more than a match for the next two or three armed forces in the world. So that leaves destroying us economically; something that the Bilderberg group and other similar globalist organizations are well situated to do. With our high national debt, which nearly doubled under Obama’s presidency, we are teetering on the edge of the financial abyss. All it would take is the wrong sort of shove to push us over the edge and trigger the disaster. Did you know these simple tricks to build your layered home defense? 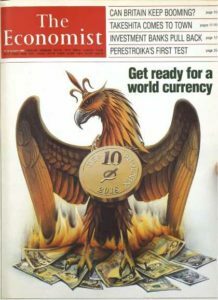 The Economist, a magazine controlled by the Rothschild family, published an article 20 years ago, which could give us some insight into what these globalists are planning. Details are given about how this comes about, but the key is through a worldwide financial crisis. As the people cry out for some relief and financial stability, the world elite offer a solution… a single world currency and a single world economy. When is this supposed to happen? Next year, 2018. It means that the globalists are still on the march. Like we see from progressive liberals everywhere, when they can’t get what they want legally, they look for a back door. Here in the US, that’s often been the courts. But there are many ways of manipulating things to get what one wants; especially if they aren’t concerned about breaking laws or leaving a trail of bodies in their wake. It has been said that these powerful people have caused countries to have financial collapses in the past. It has even been said that the same families were responsible for causing the two world wars. While that might be a bit of a stretch, they did profit off of them, so it is possible. Before you think that this isn’t possible, because they would have to hurt themselves financially, go back and read that last paragraph again. While everyone else suffered from World War I and World War II, these people merely became richer. They consolidated more wealth and more power in their own hands. You can be sure that if we were to face another worldwide crisis, such as a financial collapse, they would not be hurt by it, you and I would. I have been hearing about a pending financial collapse for years. While the reasons and the actual trigger for the collapse have changed, depending on who was doing the analysis, one key fact remained the same… the mounting national debt. Washington has built a house of cards, which is just waiting for someone to come along and remove a single card from the bottom. Then it all comes crashing down. While this is not the only risk we face, it is one that we can’t ignore. When this collapse comes, and I believe it must, it will be devastating. It will larger than even the Great Depression. It has to be, so that it can have the worldwide impact that the globalists want it to have. They will invest whatever they have to, in order to make that happen. Countless lives will be destroyed by this collapse, both here and abroad. Some of the hardest hit will be those in third-world countries. With the industrialized world in the midst of their own financial woes, help that would normally be sent to those countries will not be forthcoming. They will have to suffer through on their own. Here at home, we can expect unemployment to top out over 30%, along with runaway inflation. While those who lose their jobs will be hit hard, the employed won’t have it much better. In countless cases, people in the middle class will suddenly find themselves poor, even though they are doing the same jobs that have sustained them for years. Salaries never keep up in times of financial collapse. Inflation outstrips even the best of raises, eating them up and making them disappear in the depths of despair. Yes, those who are still working will have it better; but only in the sense that those who are the working poor have it better than those who are on the streets. They will lose much of what they have today. How can we prepare for such a thing? While these actions will not prevent you from suffering, they will reduce the suffering that you go through. Everyone but those at the top will suffer. But you don’t have to accept that you will be one who suffers a lot. 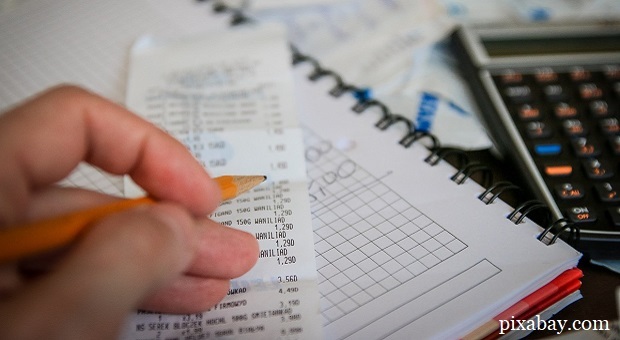 With proper planning and preparation, you can make it through a financial crisis with minimal loss, even gaining from the misfortune of others. That always happens. Everything that is lost by one, is gained by someone else. 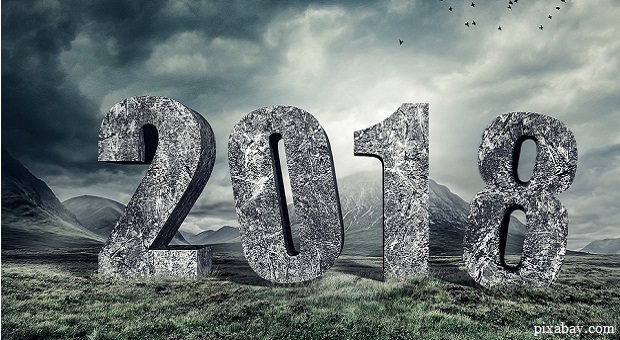 If you are in a financially sound position going into the crisis, you might be able to pick up property or other valuables during the crisis, coming out the other side in much better shape. Be prepared! Good insight, Bill. The Clinton’s are long time members of the Bilderberg ‘club’. Hillary was caught ‘red’ handed attending one of their infamous hotel meetings and LIED, politely smiling directly into the reporter’s camera who caught her attending the meeting, denying that she was even aware of such a meeting. Also the new world money you’re talking about looks like it will be a cryptocurrency similar to bitcoin. but not under private or individual control. …in a NWO type of paradigm is to also completely control the daily transactions of private individuals. Meaning eventually banning ALL cash transactions, and even outlawing the possession of cash bills. Banksters, The IRS and police state Thieves (who now steal more private property with illegal asset forfeiture laws, than all the burglaries in the country every year) would love this anyway. Hi Bill: It is crstal clear to me that the Bilberger controlled news medai giants are engaged in a brutal media barrage agasint trump on invented news stories and got caught red handed at their own game at CNN. Those that don’t want to believe otherwise are constantly fooled by appearances and cannot see the true intent of these attacks, to remove the President from power if possible. Trump is no intellectual giant and doen;t always get things right, but he may be underestimating his power. These Bilderberg sell-outs have infiltrated key positions in the government, elected postitions, security appartus, military, and legal positions. There may be only a few hundred key positions needed to be removed and replacd with honest people to disarm this group within the US Government. It may be a lot simpler to do than you think too. You see as a former military officer I am aware that manditory lie detector tests for screening for “moles” is routine in those departments handling certain highly sensitive equipment design and software coding. If the President were to issue an Executive Order mandating lie detector tests of highly placed people within agencies like the CIA, DIA, NSA, ONI, and of course Congress and the Senate as a prerequiste to holding any important position, and collecting paycheque, THEIR house of cards could come down overnight. I wonder why no mention is made of the Council on Foreign Relations and any connections they have with the Bilderberg outfit.